During the Holy Congregation on Sunday, representatives from Desh Khap (Tomar), the largest khap of the Jai community in UP, along with representatives from the Kshatriya Ror Samaj paid a visit to Saint Dr. Gurmeet Ram Rahim Singh Ji Insan. 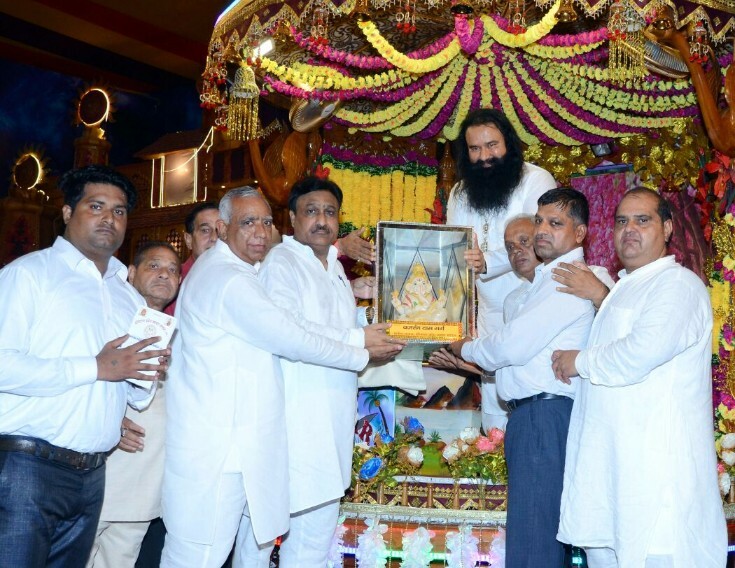 These representatives together praised and appreciated the humanitarian and social activities that are being undertaken by the Dera Sacha Sauda under the inspiration of the Saint. The representatives of the Desh Khap presented Dr MSG with a turban and a ceremonial mace. Similarly, the Kshatriya Rod Samaj gifted him a turban, a sword, and a memento depicting Shri Krishna and Arjuna. Desh Khap of UP supports the Saint: Speaking on this occasion, Surendra Singh Tomar, the head of the Desh Khap, expressed his appreciation and gratitude for the humanitarian work that’s being done by the Saint. He also prayed to the Almighty and said that he wishes to participate in the work of improving our society just like the Saint Dr. MSG. He also expressed solidarity with Dr MSG Insan and said that the entire Jat community of UP stands with him. He was accompanied by Jitendra Singh, Parminder Singh Tomar and other representatives from the community. Kshatriya Ror Samaj also expresses their support: Similarly, Ch. Shamsher Singh of the Kshatriya Ror Samaj also expressed his appreciation of the Saint’s work in the area of spirituality and social transformation. On this occasion, he was accompanied by Ch. Rattiram Kalkha, head of the Kshatriya Ror Mahasabha, Kamaljit Mahla Bhaini, Ch. 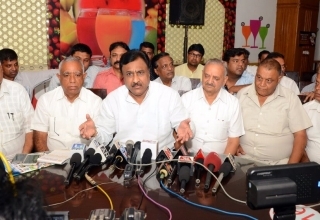 Shamsher Singh, Babu Ram Chopra, Rakesh Kumar and several other representatives from the community. Haryana Vyapar Mandal praises Dr MSG for his magnanimous endeavors: On Saturday, Bajrang Das Garg, the National Head of the Akhil Bhartiya Vyapar Mandal, also expressed his support for the Saint and the Dera Sacha Sauda. He and several other representatives of the Vyapar Mandal met Saint Dr. MSG and took his blessings. Speaking on this occasion, Bajrang Das Garg expressed his appreciation for the humanitarian work done across the country by the Saint. 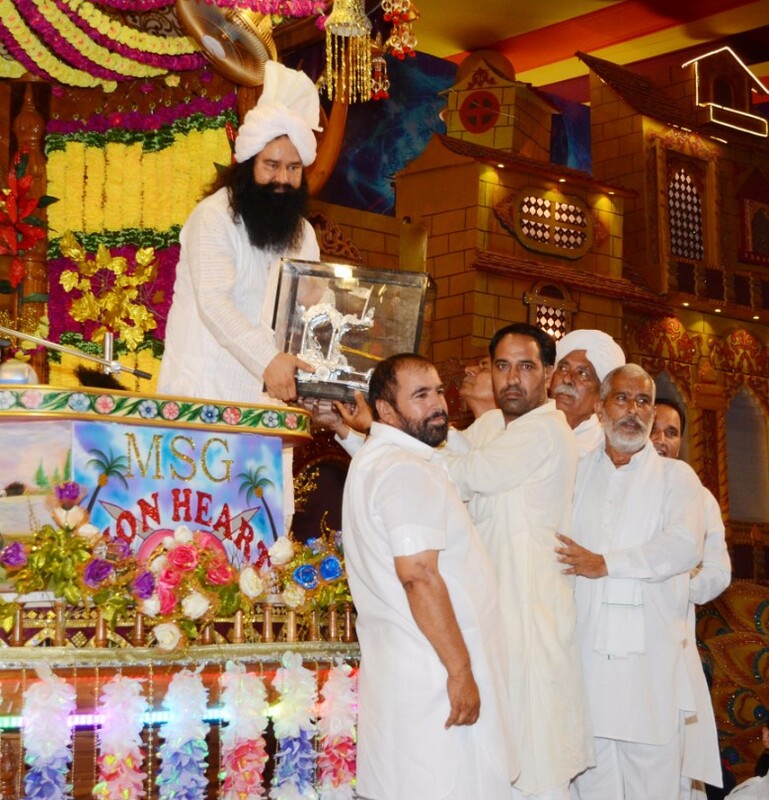 He also said that the Dera Sacha Sauda’s contribution towards improving our society has been praised around the world. Along with other representatives of the Vyapar Mandal, Mr. Garg said that his organization stands in solidarity and support with the Revered Saint. 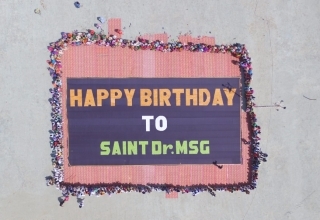 Numerous organizations, communities, and individuals from all over the country have been flocking to Sirsa to felicitate Saint Dr. Gurmeet Ram Rahim Singh Ji Insan during the month-long celebrations for his 50th birth anniversary. On August 21st, representatives of the Gujjar community from Uttar Pradesh, Rajasthan, Haryana, and Delhi too reached Sirsa to congratulate Saint. Kuldip Singh Bhati, who is the head of Delhi’s Gujjar community and also the head of 360 villages across 25 districts, along with V. P Nagar, head of 84 khaps in Haryana, Dharmendra Bhagat, head of Gujjar Ekta Mission, Om Veer Bhadana, Rajbir Baisla, Prashant Bhati, Gajendra Singh Nagar, Pradhan Dharmendra Singh Nagar, Nitin Bhati, Shyami Gurjar, Mahashay Meher Chand Gujjar, Dharm Singh Gujjar, Dharmveer Singh Khari, Satendra Singh Khari, Jagan Singh Bhati, Jitram Sarpanch, and several other representatives were present on this occasion. The leaders together honored the Revered Saint with the title of “Gujjar Gaurav Sammaan” and gifted him with a turban, a sword and a memento of Radha-Krishna. 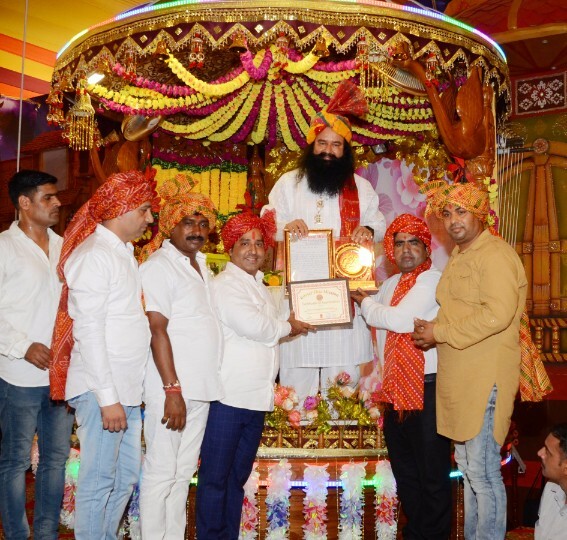 Speaking on the occassion, Pradhan Kuldip Beat Gurjar appreciated the 133 different humanitarian causes that have been carried out by the Dera Sacha Sauda under the inspiration of the Revered Saint. He said that the Revered Saint has done monumental work in the fight against addiction and other social evils. He also said that the Gujjar community has always stood in the service of great Saints and will continue to do so. He expressed felicitations on behalf of 5 crore people of the Gujjar community and said that they all stand in support of the Revered Saint and his humanitarian work. The Revered Saint welcomed the representatives and honored them with a token of love. Sirsa, 22 August: Jat Mahasabha of Rajasthan, Namdhari community of Jivannagar, Vaishya Mahasabha of UP and Agrawal community of Tohana praise the humanitarian work done by Saint Dr MSG. “We are proud of the fact that the Revered Saint Dr. Gurmeet Ram Rahim Singh Ji Insan is associated with Rajasthan and belongs to the Jat Community. Under his inspiration and guidance, amazing humanitarian work is being done not just in India but all around the world”. 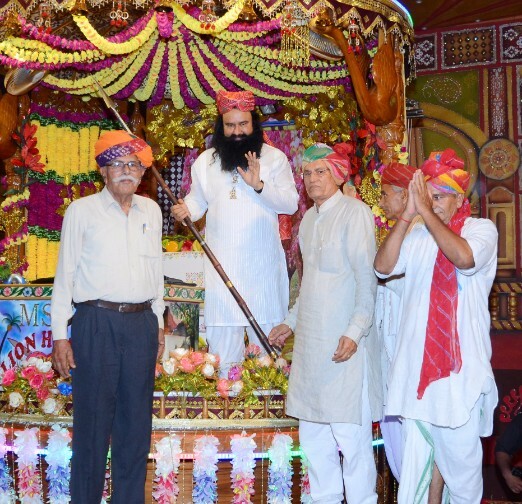 Raja Raj Mil, the head of the Jat Mahasabha of Rajasthan, said these words while appreciating the work done by Saint Ji and also announced the unflinching support of his community to the Dera Sacha Sauda. He, along with Col. R. K. Bijarniya, Sher Singh Puniya and others, visited the Dera Sacha Sauda in Sirsa and honored the Revered Saint by gifting him with a turban and a shield. Raja Ram Mil, who has been the head of the Jat Mahasabha since 20 years, said that he has been witnessing the amazing work done by the Revered Saint for the improvement of society since many years. He also said that the entire Jat community supports Saint Ji and his work with their hearts, minds, and souls. Similarly, honorable members of the Namdhari community also praised the humanitarian work carried out by the Revered Saint and presented him with a shawl to express their respect and support. S. Jasveer Singh and other representatives of the Namdhari community said that the Dera Sacha Sauda is doing a great service towards humanity through all its work. 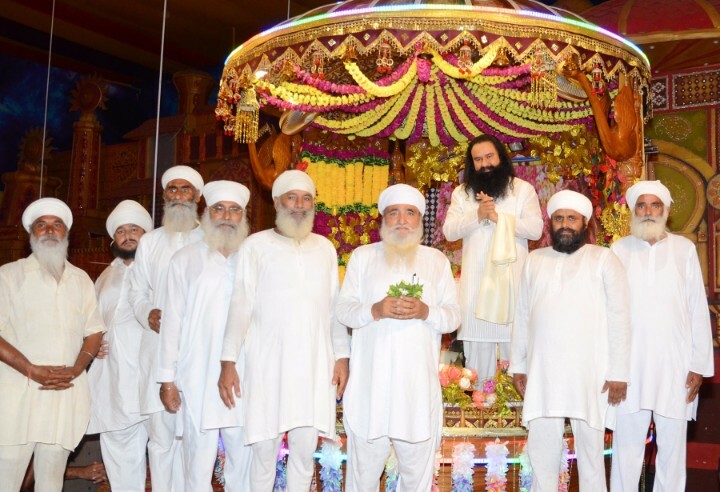 In accordance with the wishes of their Guru, representatives of the Namdhari community expressed their complete support and solidarity with the Dera Sacha Sauda and the Revered Saint. Representatives of the Agrawal community, Tohana, also praised the humanitarian work carried out by the Revered Saint and honored him by presenting a sword as a mark of respect. The head of the Agrawal Youth Wing said that the entire Vaishya community stands in solidarity with the Revered Saint and his work towards improving our society. On this occasion, representatives of various communities from Kaithal, Pillukheda, and other places too praised the Revered Saint and conveyed their best wishes on his birth anniversary. The Akhil Bhartiya Vaishya Mahasabha of Uttar Pradesh visited the Revered Saint early on Tuesday during the Holy Congregation. On this occassion, they presented the Revered Saint with a turban and a letter expressing their respect and admiration. 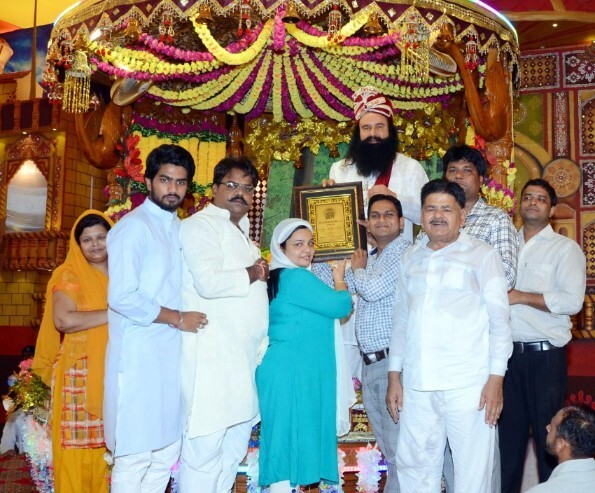 Aarti Agrawal, the head of the women’s wing of the Akhil Bhartiya Vaishya Mahasabha, Chairman Sachin Agrawal, and other representatives expressed their support for the Revered Saint and praised the 133 humanitarian causes that are carried out by the Dera Sacha Sauda. Revered Saint Dr. Gurmeet Ram Rahim Singh Ji Insan of the Dera Sacha Sauda is not just a Saint but an incarnation of God who has inspired millions of followers to dedicate themselves towards the service of humanity. 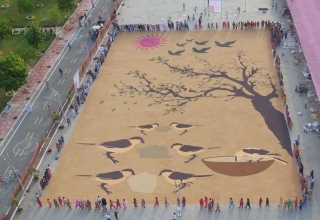 The work carried out by the Dera Sacha Sauda in the areas of cleanliness, reforestation, environment protection, blood donation, etc. has proven to be a boon for our society. These words were echoed by representatives from 262 Gram Panchayat, 62 Parishads, 24 Block committee members, 32 Zilla Parishad Chairmen from all across Haryana and Rajasthan. 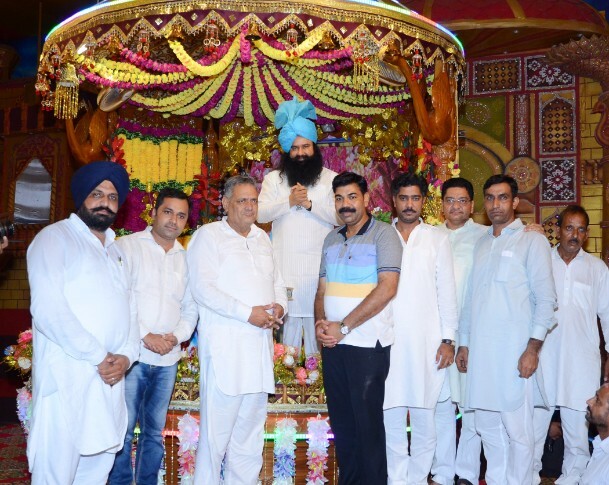 These public representatives visited the Shah Satnam Ji Dham in Sirsa on the occasion of the Revered Saint’s Golden Jubilee birth anniversary celebrations and praised the humanitarian work being carried out by the Dera Sacha Sauda. Aditya Chautala, Zilla Parishad member and grandson of former Deputy PM Chaudhary Devi Lal, said that he salutes the work done by the Revered Saint towards the improvement of our society and expressed the full support of the Jat and Krushak community. Veteran Jat leader Pawan Beniwal said that the humanitarian work carried out by the Revered Saint has placed Sirsa on the world map. 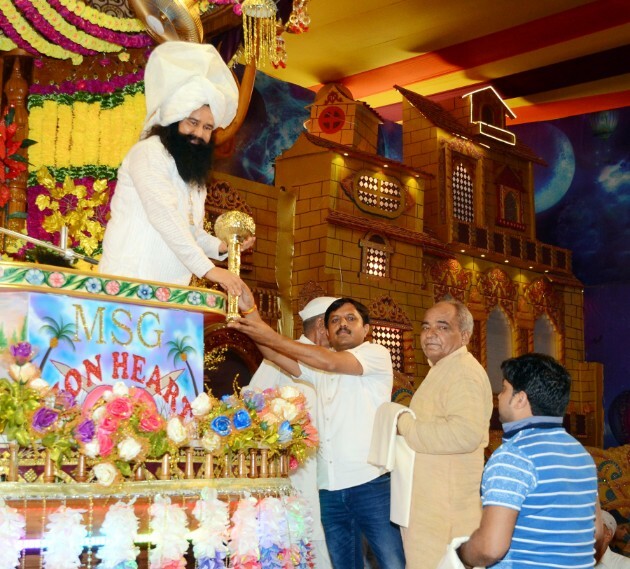 He also said that he has been associated with the Dera Sacha Sauda since many years and expressed his complete support towards the Revered Saint’s efforts to positively transform our society. On this occasion, Shri. Beniwal was accompanied by representatives from 60 Gram Panchayats, Zilla Parishads, and block committees. Rahul Setia, National Head of the Punjabi Sena, too visited Sirsa along with members of several Nagar Parishads to convey his best wishes on the occasion of the Revered Saint’s 50th birth anniversary. 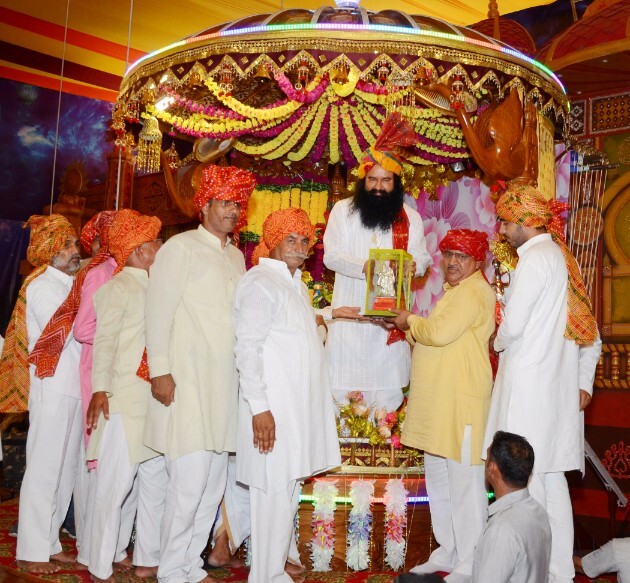 He said that his entire family has been associated with the Dera Sacha Sauda since years. He also said that along with humanitarian work, the Dera Sacha Sauda has also made immense contribution towards relief and rehabilitation work during several natural calamities. During the floods in Ghaggar and other such natural calamities, the amazing relief work done by the volunteers of the Dera Sacha Sauda was more than even what the government did. Moreover, the Revered Saint has entirely transformed Sirsa by building schools, colleges and even a multi-specialty hospital. He said that the Punjabi Sena and residents of Sirsa have always supported the Revered Saint and will continue to do so. Jitendra Singh, the head of the Ratia (Fatehabad) Sarpanch Association, said that the work done by the Revered Saint in turning people away from social evils like addiction has positively changed the entire region. Thanks to this amazing work, youth in the region have now moved away from drugs and are participating in constructive activities like sports and humanitarian work. 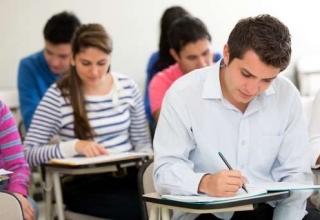 Next article How to keep a person Cheerful & Contented instead of being Angry with you?